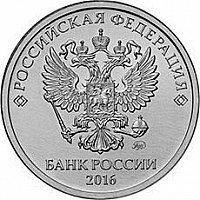 In the center - image of the State Emblem of the Russian Federation, on the semicircular inscription: "РОССИЙСКАЯ ФЕДЕРАЦИЯ", framed by two twin diamonds, under the arms of the right - the mint mark of the manufacturer, below - inscription "БАНК РОССИИ" and the year of issue. 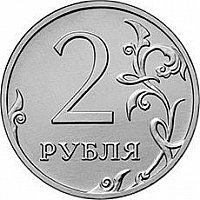 In the center (close to the left) - the denomination of the coin: the figure 2, below it - the word "РУБЛЯ", arranged horizontally. 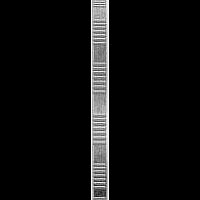 At the bottom along the rim and in the right part of the disc - the stylized vegetable ornament in the form of curved branches with intertwining.